Essential oil rollers are among the handiest things when it comes to quick and easy aromatherapy at home! They are a pre-diluted essential oils applicator that’s safe to use and can be customized to any ailment you need treated. 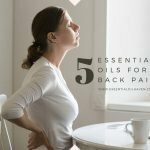 If you’re already an essential oil user, you are aware of how important essential oil roller bottles are. I personally couldn’t live without my headache roll-on. Or my “Farewell Scars” roller. 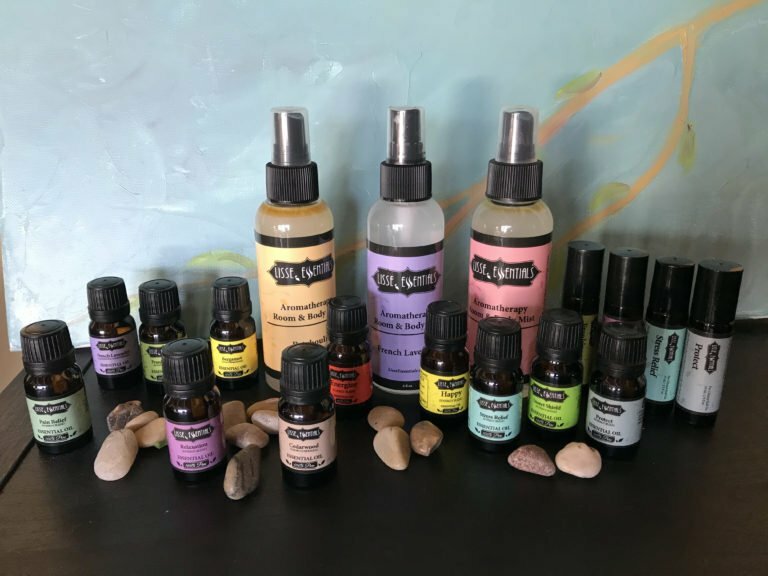 Or Plant Therapy’s Loving Compassion heart chakra roller bottle, or, or, or… Roll-ons are amazing and I’d like to show you why; and also how you can easily make your own DIY essential oil roller bottles to suit YOUR preferences and needs. 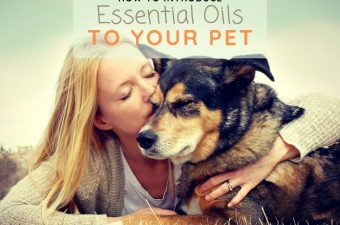 Essential oils have been used for centuries to naturally help all sorts of different ailments using botanical ingredients. The word ‘botanical’ is linked to nature, in other words, the products prepared from plants, flowers, and various different herbs. We are all becoming more and more conscious of the benefits of using naturally prepared products. 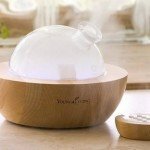 Even though it’s possible to just inhale an essential oil directly from the bottle, it is not the best approach to get your essential oils to do their job. 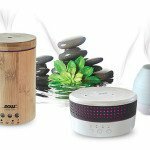 Trying to get therapeutic aromatherapy effects through the sense of smell alone is not as effective as applying the oils to your skin and letting your whole body system absorb them. 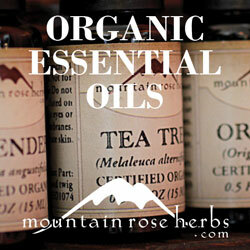 Essential oils are very concentrated and can irritate the skin if not diluted. 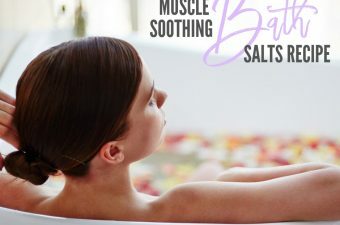 One of the main benefits of essential oil rollers is that they help your essential oils work in as little as 20 minutes after application through the skin. This is why roller bottles are a beautiful and graceful way to gift your body the treatment of essential oils. Now: are you wondering how to make essential oil rollers? Roll-on bottle. Look for stainless steel roller balls vs. plastic roller balls for the bottle topper. They apply nicer. I like these ones here. Also be certain you only utilize glass roller bottles. Carrier oil. Fractionated Coconut Oil has an indefinite shelf life so it’s a great option to use for carrier oil. It’s also relatively thin and therefore works well in a roll-on with the roller ball topper. If you’re going after more specific skin care qualities of the carrier oil, you can also use other carrier oils of choice. Essential oils. Use either single oils or a blend. Create your own blend or use ready-made blends of choice. The options are endless and this is where the roller bottle DIY recipe fun really begins! Always buy quality oils so you understand what you are using on your body. 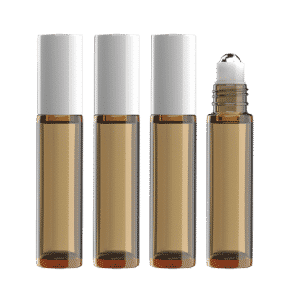 The easiest way to make an essential oil roller bottle is to fill your 10 mL glass roll-on with carrier oil, and add 6 drops of any single oil or oil blend you have available at home. For example, if you like using Young Living Thieves® (or Thieves® alternatives) during cold and flu season, make a simple roll-on with 6 drops of your choice of “Thieves®”, and apply it to the insides of your wrists, the soles of your feet or behind your neck. Which Size of Roller Bottle Should You Make? The most common and easiest roller bottle size is 10 mL. It’s small enough to carry with you in your purse, but big enough to last through a bunch of applications. Mine usually last at least 4-6 weeks, depending on which one it is! Once you’re done using your roll-on, empty essential oil rollers can easily be cleaned and re-filled to re-use again. 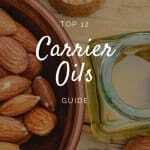 What’s the Best Carrier Oil for Essential Oil Rollers? 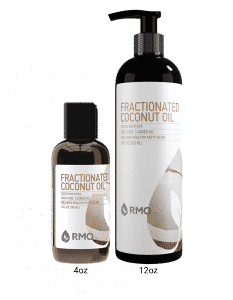 Fractionated Coconut Oil is a top choice for carrier oil in a roll-on bottle. A fantastic, high quality base carrier oil helps dilute the essential oils to a safe % mix before topical application through your skin. 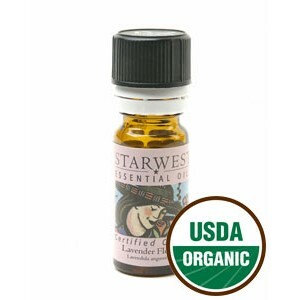 It enables the essential oils to penetrate the skin and make their way into our bloodstream. One of the most common carrier oils for roll-on bottles is Fractionated Coconut Oil (FCO). Its consistency is thin and easy to disperse via roller bottle. It is heat-pressed and has an indefinite shelf life, making FCO a top choice for creating DIY recipes. I’ve also successfully blended carrier oils at around 2/3 to 3/4 FCO and 1/3 to 1/4 Sweet Almond Oil or Jojoba. I do this because, for example in a roller blend to reduce the appearance of a scar, I like to take advantage of the carrier oils’ particular healing properties as well. Jojoba is amazing for skin care so I use 3/4 FCO and 1/4 Jojoba in my Scar Healing Blend (recipe below).  TIP: You can use any single essential oil or ready-made essential oil blend that suits the need for your roller bottle blend. Just make sure to use a good quality brand. 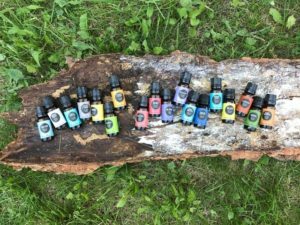 Why Create Your Own Roller Bottle Blend? Use ready-made essential oil synergies for your roll-on bottle; or blend your own! 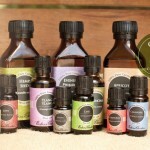 Many popular essential oil brands sell fantastic ready-made blends crafted by aromatherapy experts. Almost any brand will have a headache blend or a stress blend or a sleep blend, and those are a great place to start to create your first roller bottle. I’ve certainly also used those in my roller balls. 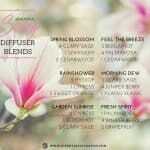 Of course, there is a huge number of other blends out there for different ailments as well. 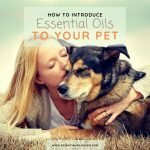 Making your own essential oil blend bears the benefit of being able to think about the exact impact you need from your aromatherapy oils, think about the properties of the oils, and create a custom blend not just for therapeutic effect you’re after, but also for scent and smell preferences. For example, I know that Vetiver is a beautiful oil for sleep, yet I personally can’t stand the smell of it. I avoid it in any blend possible! Similarly, if a blend has even as much as just one drop of Patchouli, I’m likely not going to use it. I just have an aversion to the smell of Patchouli even though again, I know it’s an oil with fantastic properties! Lucky for us, mother nature gifted us with plenty of plants to choose from so we don’t have to be stuck seeking certain therapeutic properties and only find them in certain plants. When blending essential oils, I recommend to not use more than 3-5 oils in your blend. 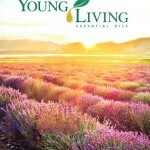 Essential oils work synergetically, in other words, they work to complement each other. After about 3-5 oils blended, you may likely see a plateau of “additional benefits added”, so I like to stop my blending there. Please consult with an aromatherapist or medical professional before using essential oils on children under two years of age. Hot oils such as Cinnamon, Clove Bud, and Oregano should be diluted to 0.5% and should not be used on children under 10 years of age. One of the simplest methods to enjoy the advantages of your essential oils is by using a roller bottle. Before you get started creating your own rollerball blends, decide what you would like your essential oil blend to do, and pay special attention to the needs of your family: will this be for kids? Do you have pets around that may try to lick your hands, wrists, or areas close or around your face? 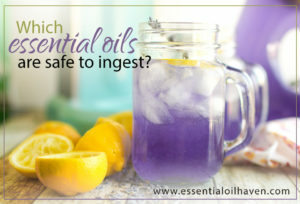 If so, make sure you blend only with child safe or pet safe oils. Do a little investigating to figure out if the oil you’re considering comes with any special precautions or warnings. 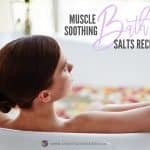 This Stress Relief recipe is created especially for stress and headache relief. 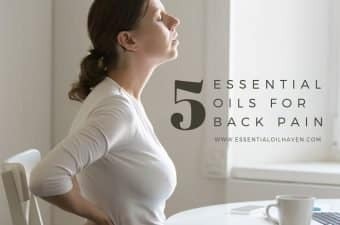 There are a lot of headache blend recipes out there, and most of them feature some common oils: Peppermint, Eucalyptus, maybe Lemon or Lavender. 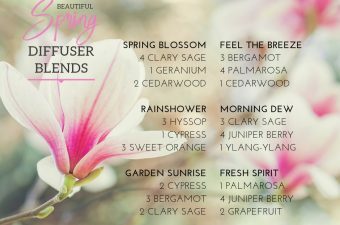 I’ve had best success with not only the fresh minty scents, but also the woodsy and earthy tones like Juniper Berry or Cedarwood. Apply to the temples of your forehead daily as needed. The Immunity Boost roller bottle recipe was made to help support and safeguard your immune system. 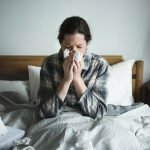 The idea is to keep up your overall health by boosting your immune system early, so that you don’t begin feeling unwell in the first place. Apply to the insides of your wrists, behind your ears, or to the soles of your feet. If you are searching for a all-natural way to increase skin appearance after a wound heals yet leaves scarring, or to smooth aged scars or stretch marks, this is an aromatherapy formula that may provide help. Apply daily to minimize the appearance of skin impurities. Fill your 10 mL roller bottle about 2/3rds full with Fractionated Coconut Oil (FCO). If you wish to discover a natural aid for sleeping or insomnia, essential oils might be an alternative. Lavender essential oil is very widely used for different reasons, still, it is one of the easiest and best essential oils for sleep. As part of this essential oil roller bottle recipe for sleep, it works wonders! 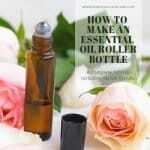 Roller bottles are among the easiest methods to use essential oils. 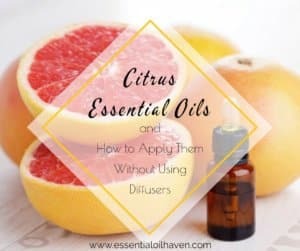 Since it is recommended to use only diluted essential oils right on the skin, using roller bottles is a quick and easy way to apply essential oils at any point of time in the day. Make sure to shop for a glass bottle, and preferably also with stainless steel balls. Start with Fractionated Coconut Oil (FCO) as your carrier oil. 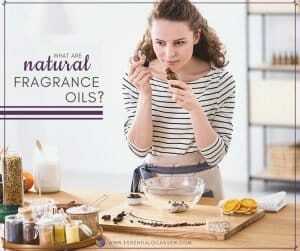 As you get comfortable, feel free to experiment with blending in other carrier oils as well. Just make sure the carrier oil consistency is not too thick to be rolling through the roller ball topper. 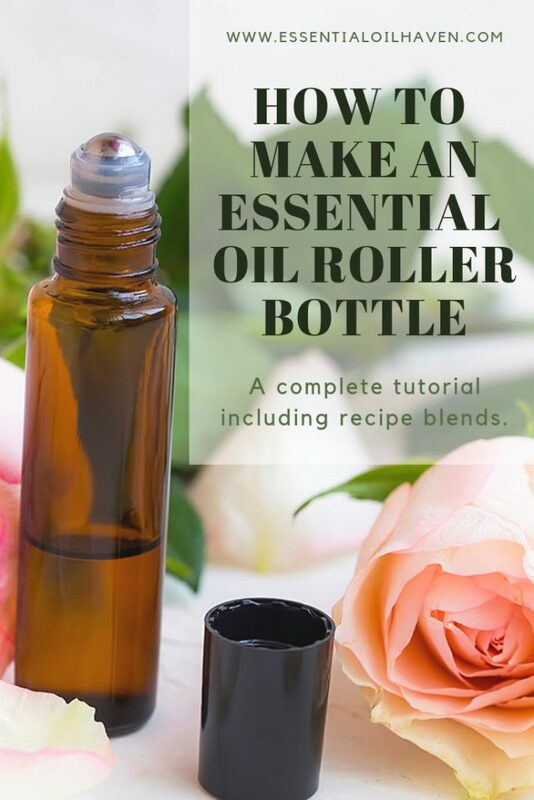 I hope my recipes got you inspired to try and create your own first roller bottle blend – even if it’s “just” using a single oil to start with. Questions? Feel free to get in touch with me with any questions you’ve got! Use the comment section below or drop me a line.